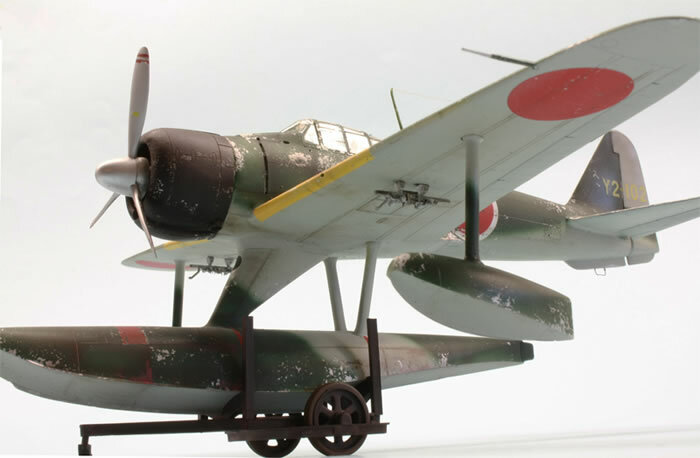 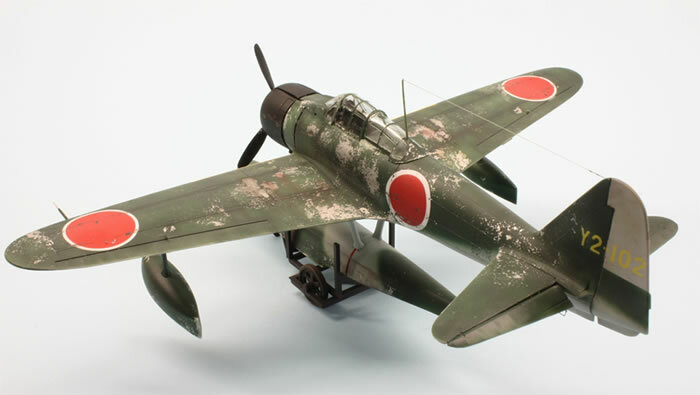 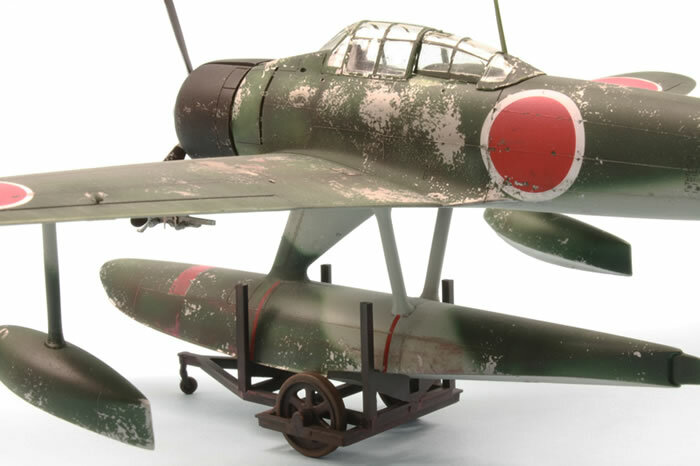 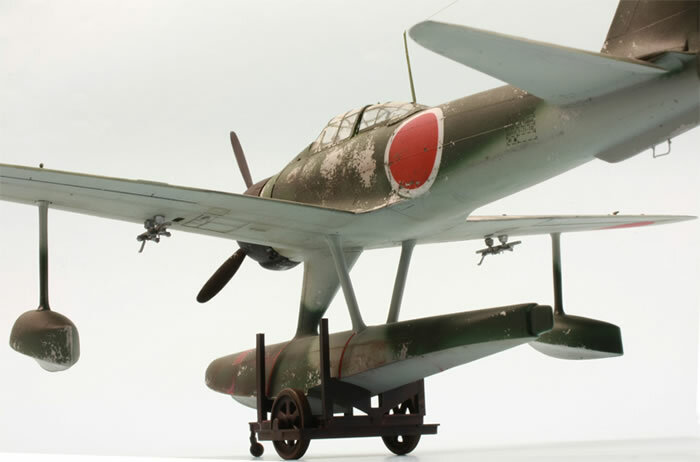 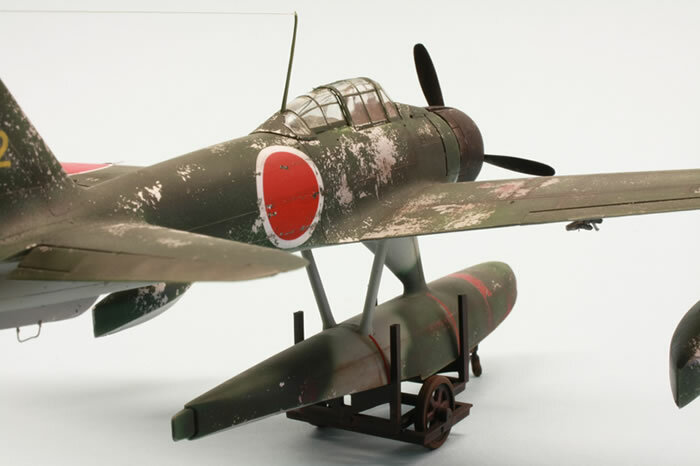 Tamiya's 1/48 scale Rufe is available online from Squadron for only $13.50! 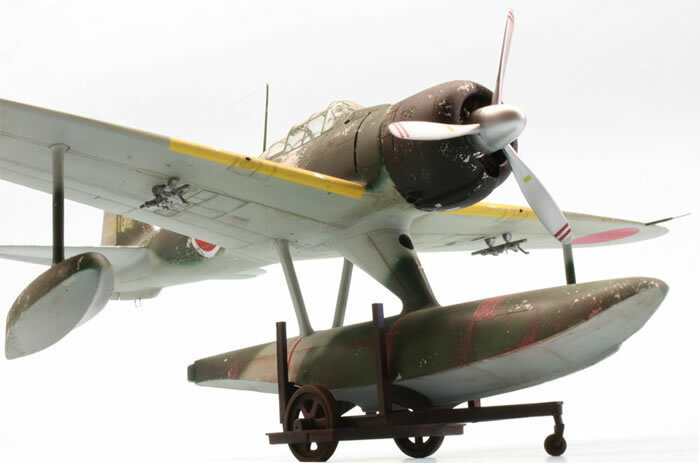 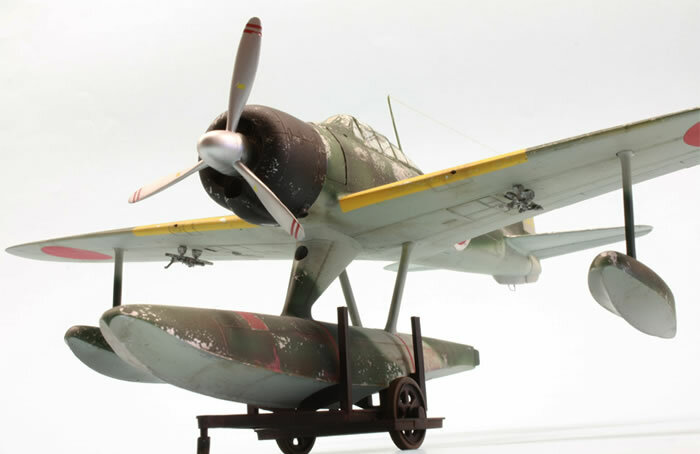 Imperial Japanese unique floatplane fighters reflect a characteristic demand of the Pacific war: to help secure freshly occupied islands and territories, these fighters were expected to operate from the coast as long as airfields for land based airplane would have been established. 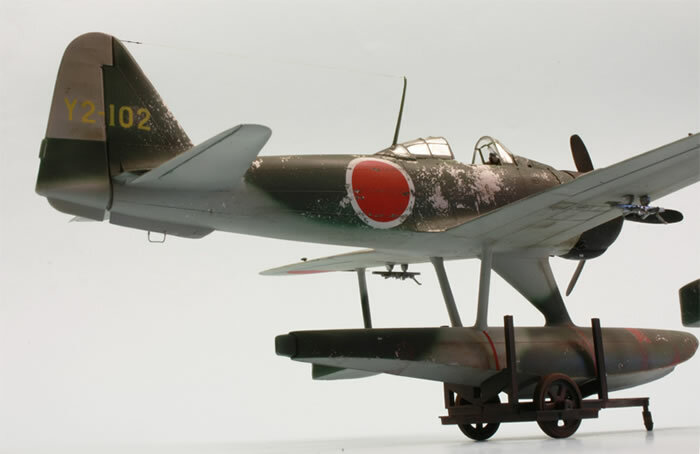 The adoption of Mitsubishis well-proven A6M fighter to a float plane has originally been planned as a stop-gap until the introduction of Kawanishis N1K1 Kyofu. 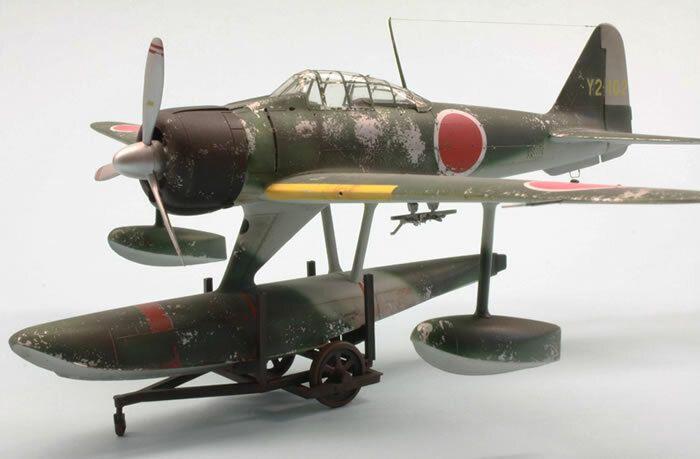 The A6M2-N “Rufe” should serve well -with dwindling success in the last years of the conflict- until the end of the war. 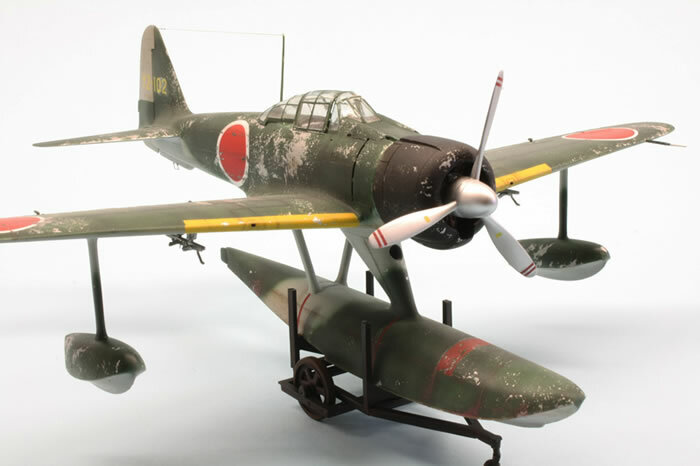 My model shows a well-weathered aircraft of the 452th Air Fleet, based on the Aquatic base on Shumushu Island, North Kuril between late 1942 and January 1945. 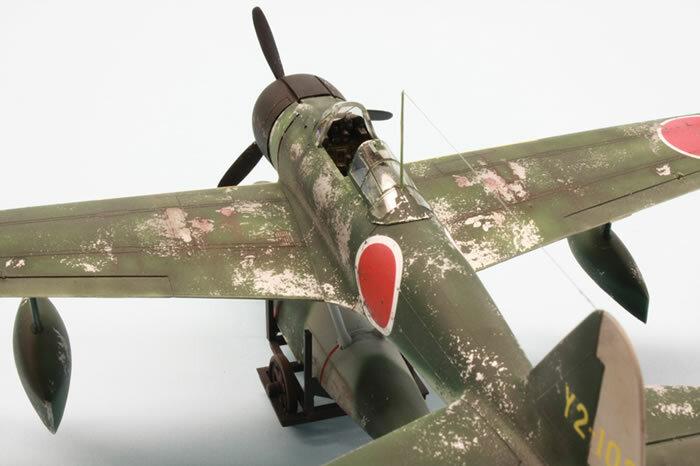 Tamiy'as aging kit builds up easily and straight on. 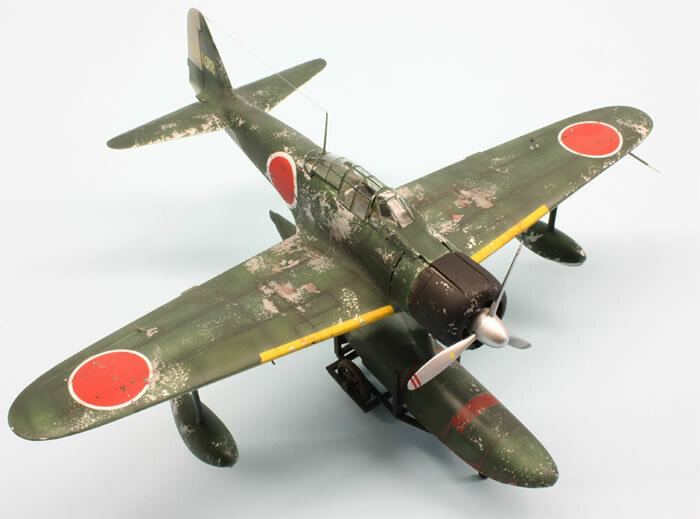 I have used some etched parts from Eduard in the cockpit area, also added seat belts. 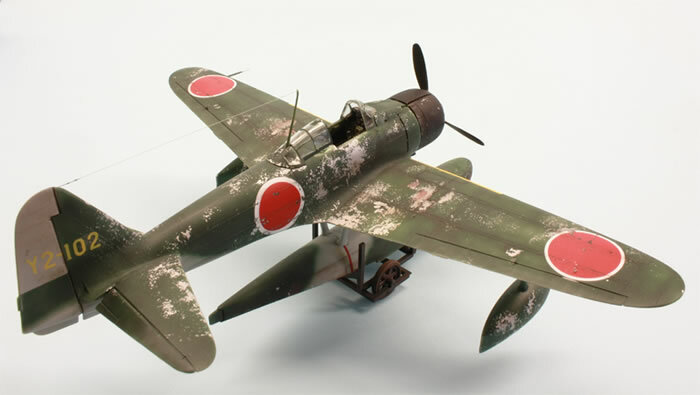 The colours came from Gunze, weathering was done by pastel and water-colour. 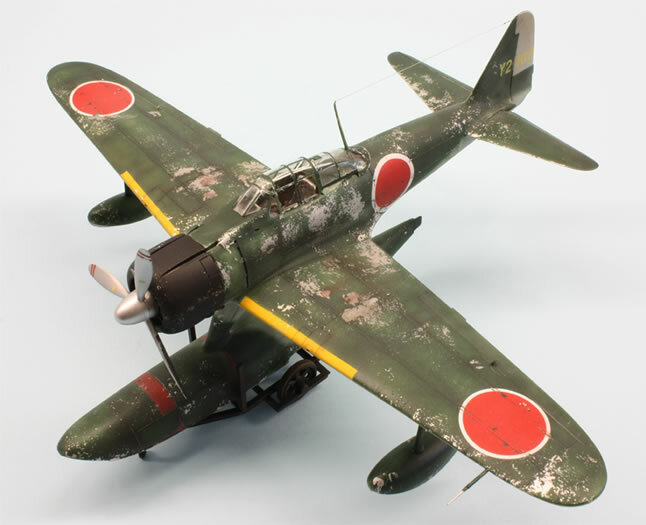 All the kit decals were used.